As we come to the end of another Black History/Reggae Month, we feature Eunice Kathleen Waymon ( Nina Simone) who was an accomplished piano and organ player. The racial prejudice that was endemic in the deep South of the 1940s had an early and lasting effect upon her. For example, at the age of 12 while she was giving a piano recital in the local library, her parents were asked to stand at the back simply because they were coloured. 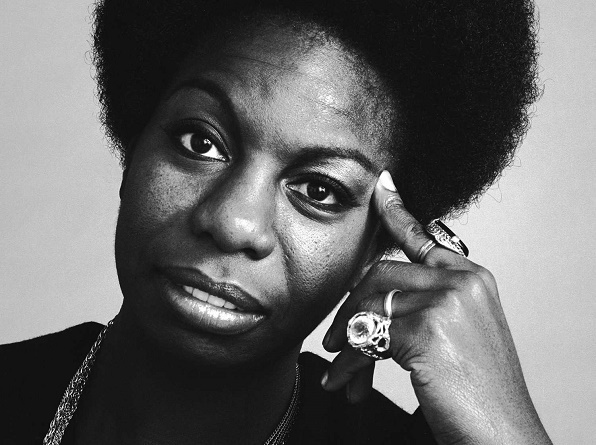 There are some who believe that the following allegory vividly typifies the America in which Nina Simone grew up. A domestic flight over Birmingham, Alabama soon found itself in serious problems. In a desperate effort to preserve the lives of the crew and passengers, the pilot jettisoned some fuel to lighten the aircraft. Later, some pieces of luggage were released. Finally, when the pilot noticed that there was very little improvement, he sent his co-pilot outside the cabin to address the flight attendants and their charge. There was no response. “OK,” the co-pilot continued, “I guess I’d just have to volunteer some of you. We will proceed alphabetically.” He then shouts, “‘A’. Are there any Afro-American on board?” No response. “‘B.’ Are there any Blacks on board?’ Still no response. “C. Any coloureds? D. Any dark skinned passengers?” continued the now frantic officer. Like that quick thinking mother, Nina Simone was one of those Americans, who was proud of her ‘Zulu’ background. It is common knowledge that when she was growing up, the country of her birth was far less eager to liberate people as it appears to be today. In that kind of situation it would not be long before Nina joined hands with people like Martin Luther King, Jr. to fight against prejudice and promote social justice, at the time when Nelson Mandela and Walter Susulu were carrying the struggle in South Africa. Like Rosa Parks, Nina Simone believed that injustice anywhere was a threat to justice everywhere. One can well recall her popular anthem, ‘Young Gifted and Black’, which was released the same year and the same month that Neil Armstrong set foot on the moon. ‘Young Gifted and Black’ was indeed one small step for blacks everywhere and a giant step for African Americans. It is a pity that the Jamaican karaoke posses are so unfamiliar with this piece, because it so fittingly describes many of the talented in this country. But for most people, Nina Simone was not the Civil Rights activist who left America because of perceived threat from the FBI and CIA; she was the pulsating jazz and rhythm & blues artist, who was dubbed the High Priestess of Soul-the exquisite performer whose repertoire of songs ranges from A-Zulu. She was the singer whose phenomenal debut album in 1958 produced the million-seller cut ‘My Baby Just Cares for Me’. For some, she is the beloved La Nina who lived in the Caribbean and Africa for a while, before finally settling on French soil, just like the legendary Josephine Baker before her. What can we say in belated tribute? This much can be affirmed: A life well lived anywhere – like that of Nina Simone – is an inspiration to all persons living out their lives everywhere.